Hi I’m Cindy and I love juicing! Juicing is just so easy and so much fun that anyone can enjoy it. Old or young, juicing appeals to everyone. I spent quite a long time investigating the pros and cons of different juicing machines before I invested in my professional juicer. It’s time and money that I feel was well spent, as I couldn’t be happier with my juicer. I love nothing more than freshly squeezed juice for breakfast – it’s such a great way to start your day. It also helps give me that well needed energy boost after a long day at work. As much as I enjoy following recipes, I also enjoy making my own individual concoctions including baking with the pulp and making juice ice lollies. The possibilities are really endless. I’ve put this website together to share my experiences and ever developing knowledge of juicing in the hope that it helps and inspires others. If you’re looking for details on different juicing machines or just some new recipes, there’s plenty here that you will find useful. My health and my family are the most precious things to me and juicing is just one easy way to help keep us all healthy. Why not join me in this juicing experience. 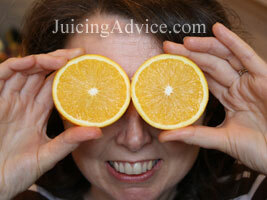 Do you have a wonderful juicing recipe that you would like to share? I would love to be able to publish it on the site. Just email me the details. Making Ice Cream with My Juicer! Is the Norwalk Juicer Worth the Expense?